Just look at the cover picture! You know you’ll love this book! I read Melissa A. Hanson’s first book a few years ago. This is the 2nd in the series, but it’s from a different character. So you don’t have to read book 1, but you should because it was always a great read! Characters from the first book are in this book too. I loved reading Mia’s story. She was a tough chicka. I think many of us become super tough when put in terrible situations. I don’t want to give things away, but she had a major injury and a hero. Dylan was the hero that worked where she was injured. I love how the story goes beyond her injury and hospital days. You really get a chance to watch their new relationship. IT WAS SO CUTE!!! squeal I loved so many of their scenes together! It’s not just a romance story. It has injuries and scary action moments. The story goes into family abuse, not Mia’s family. It’s so sad but very real. 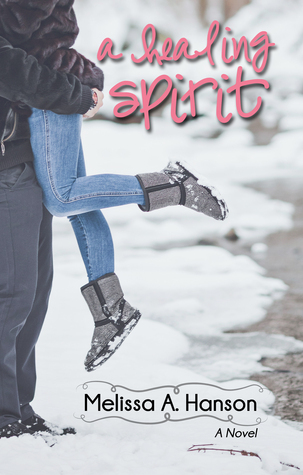 A Healing Spirit by Melissa A. Hanson is a must read for any of you YA or NA contemporary romance fiction lovers! Have you read her other books? What did you think? I received this book from the author Melissa A. Hanson. I am not paid for my reviews. My reviews are solely my opinion. Next postAspen Everlasting by Kathryn Cooper! I’M AN AUTHOR!! !